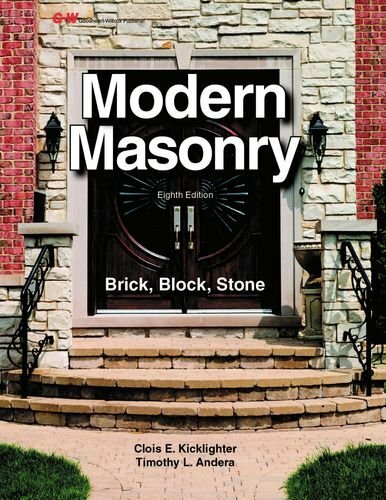 Modern Masonry: Brick, Block, Stone provides a broad understanding of the properties and applications of masonry materials. It then progresses to teaching safe and proper procedures for working with brick, block, and stone. Coverage of concrete form construction and flatwork is also included.Green features address specific topics relating to masonry's impact on the environment. New supplemental teaching materials include PowerPoint presentations and test creation software.